The client needed a mobile application to showcase their product line up. 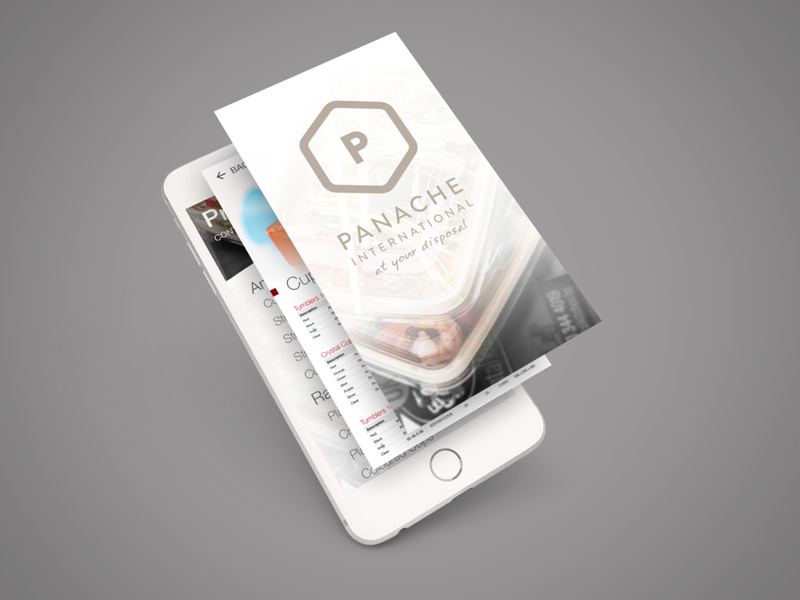 A major motivation for the app was to cut down on printing and shipping of physical catalog. Showcase products in an appealing manner. Easily navigate complex information architecture. 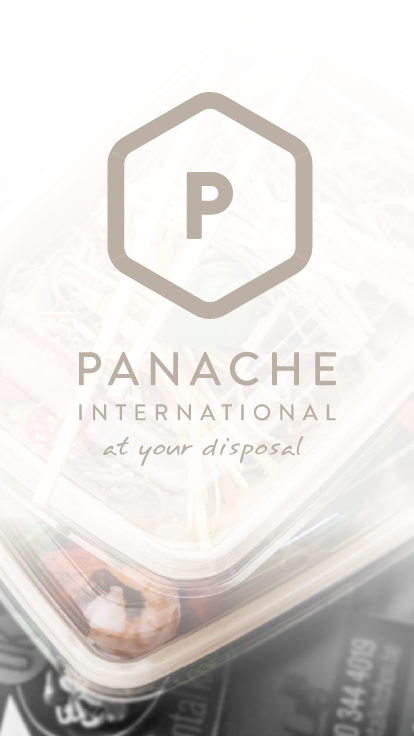 Panache International is an integrated manufacturer and distributor of a disposable range of plastic, paper, aluminum and bamboo packaging products since 2005 in the United Arab Emirates. 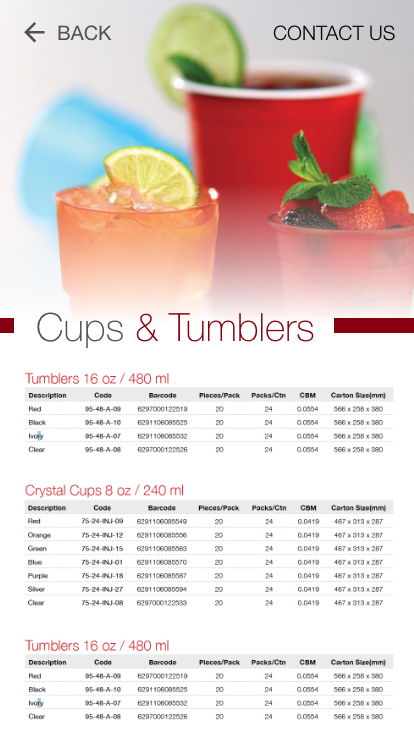 They needed to transform their physical product catalog into a mobile app. 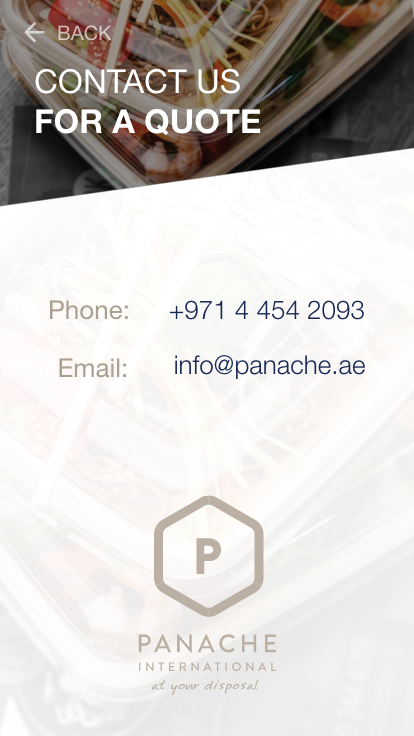 The users are a restaurant, catering, or other food business owner who is looking to improve their customer's experience and also cut costs. Being able to quickly view the product categories that interest them and then see the price comparisons is a critical component to the user's experience.